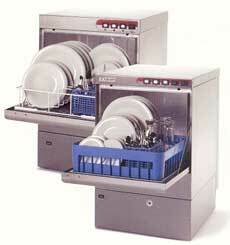 A full range of washing equipment for utensils, glasses, crockery etc. Stand alone, hood, flight or rack complete with tabling and handling equipment. Front loading back bar glass washers with either pumped or gravity fed waste. 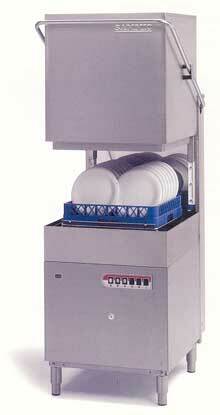 Semi and fully automatic washers in various capacities, up to 80qt. mixing bowls and 30" x 18" trays. Cabinet, conveyor or carousel units. 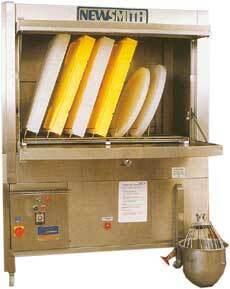 Semi and fully automatic for all types of bakery racks. All units can be fitted with automatic detergent dispensers.